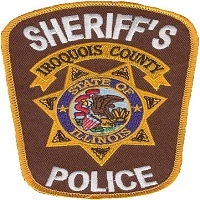 On November 7th , 2018, Iroquois County Sheriffs Police arrested Rileigh N. Kilgore, age 19t of Savoy, IL. According to police reports, Kilgore was charged with criminal damage to property. Kilgore was transported to the Iroquois County Jail where she posted the required bond and was released. On November 7th , 2018, Sheldon Police arrested Brittany N. Ealy, age 27, of Sheldon, IL. According to police reports, Ealy was wanted on an outstanding Iroquois County warrant charging her with obstructing justice. Ealy was transported to the Iroquois County Jail where she posted the required bond and was released.